Salin Low was happy that Capri Frank managed to get married despite the bad weather, but sad that, that same weather prevented her from attending and officiating. She also missed last Friday's Rotary meeting because her dog had run away. Bad dog! Still, the other good news in all this, is that Salin has paid off her house mortgage! Financial pundit Clark Howard would be proud! 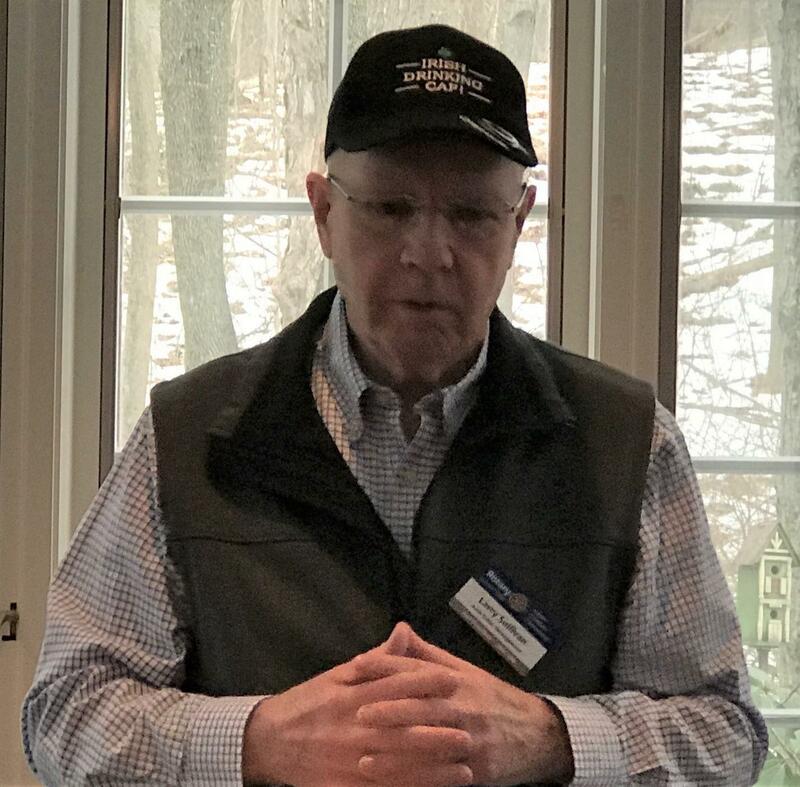 Kurt Lux is not exactly happy, but rather frustrated with the so-called Federal government "shutdown", which has idled and temporarily left unpaid, employees of private contractors working for nonprofits that support the disability community. He has been personally thanking TSA workers he encounters in his travels who have remained on duty despite their personal, employment-related travails. On a related note, Larry Sullivan was happy that Social Security benefits are still being paid . Rollie brought two, early, Early Risers, vintage June 1986 to share with Rotarians. 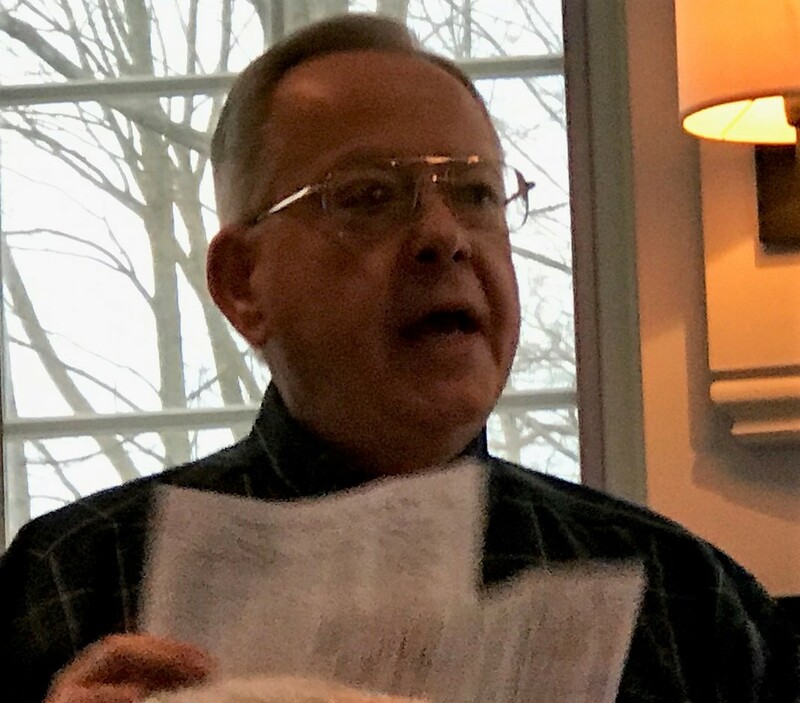 The text included special awards for meritorious acheivement, including: a "Total Confusion Award" to Rollie Sterrett and former member Rollie Hoekman, as well as John and Wade Horsey. Rollie joked: "Who could have foreseen a club with 2 Rollies and 2 Horseys representing 4 future club presidents?" Rollie went on to say they used to mail unused Early Risers to meeting nonattendees. In those days the Club had just 40 members and when they missed meetings they looked forward to catching up on the news. He recalled that after an extended absence due to a back surgery, it was special for him to be kept up to date. Bill Barnes was the first Early Riser editor, and during one year used a yellow colored paper, which led to the claim of so-called "yellow journalism." Bill originated a reported oxymoron to describe Rollie S. as "Dr IQ" for 6+ years. 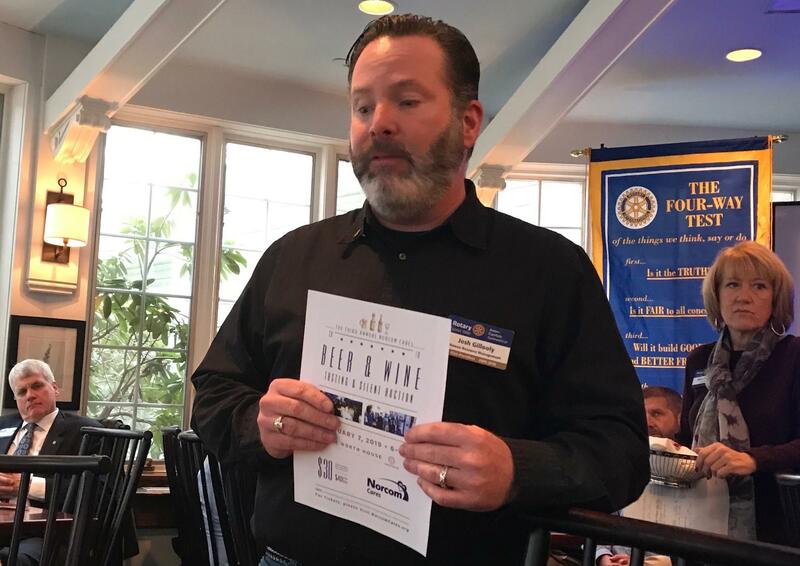 In yesteryear, Rollie had a weekly routine of filling Rotarians in on a Rotary fact of no particular interest to anyone, and then quizzing us on it the following week. The early, Early Riser that was passed around was dated 6/20/1986 and included this "Thought for the Day": "The optimist proclaims that we live in the best of all possible worlds. The pessimist fears this is true." Dale Bronson reported that this week baseball player Mariano Rivera was unanimously inducted into the Baseball Hall of Fame, a richly deserved honor. Dale continued, explaining Rivera was a great player and is a terrific human being. Linda Pendergast reported on a gathering at Craig & Nancy Nation's home, to remember the tragic loss of their young grandson Connor. A bench with an engraved plaque were presented to them, in memorium. Josh Gillooly thanked the TOTV committee for their hard work, singling out Colleen Sullivan for her contributions. 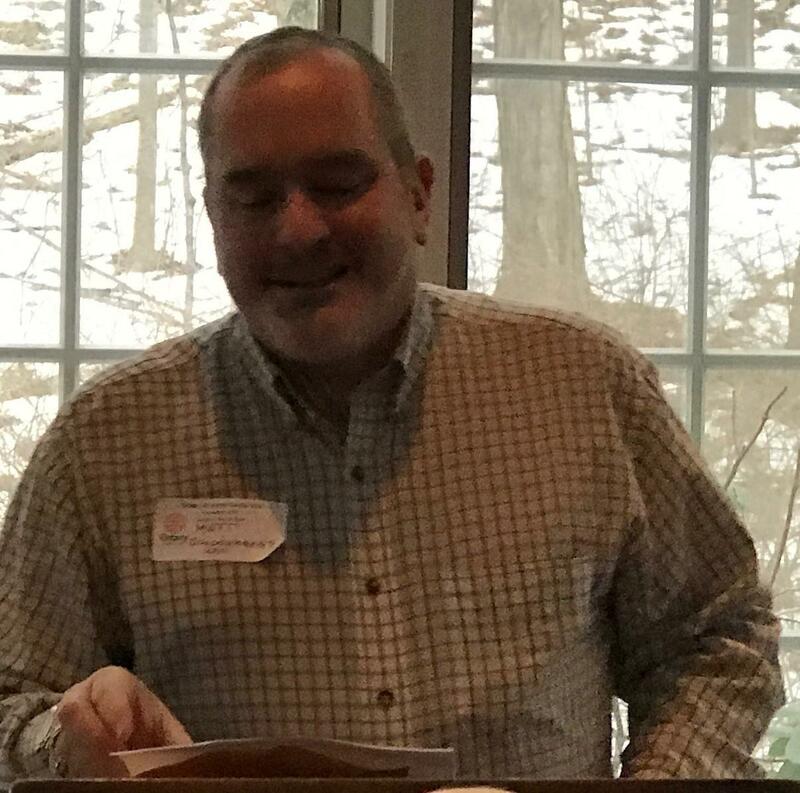 Despite the threat of a fine, Josh reported his company, Norcom Mortgage in Avon, along with Phil Defronzo, formed their own 501c3 organization, to be called "Norcom Cares. "On Thursday 2/7, from 6 to 9 PM they will host a "pub night" style event at the North House, as a fundraiser, with tickets priced at $30.00 pp. 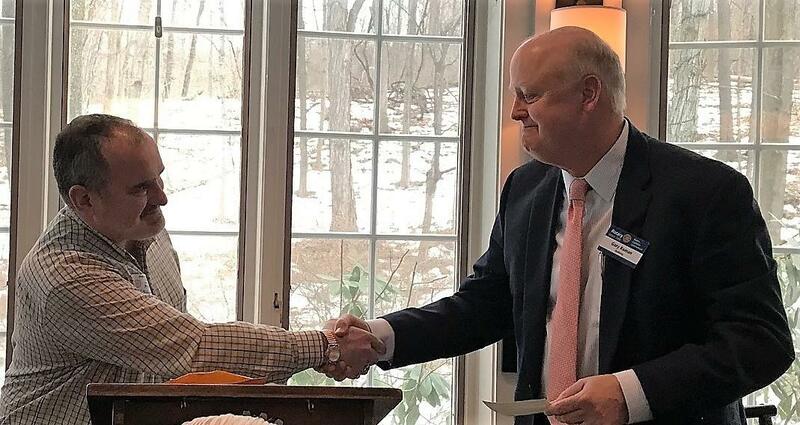 Community Service Committee chairman Gary Roman introduced Larry Sullivan, who in turn introduced and welcomed Matthew Schoenhardt of Logan's Foundation for Childhood Cancer. 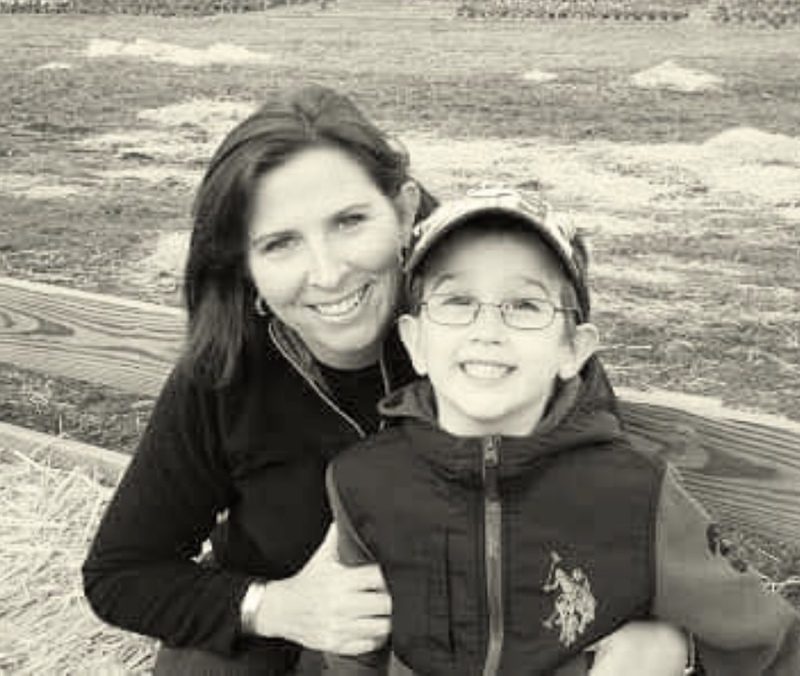 Mr. Schoenhardt, "Matt", who lives in Simsbury, explained that almost two years ago, his ten-year-old son Logan passed away after an extended struggle with neuroblastoma, a brain tumor most commonly occurring in the very young. During Logan's treatment, in addition to the impact on his son, the disease adversely affected the entire Schoenhardt family, as they struggled to pay both medical and ordinary household expenses. Thanking Larry Sullivan for his support and friendship, and the Club for our donation to Logan's Foundation for Childhood Cancer. Matt went on to detail their journey from diagnosis to sad conclusion, which Logan and his family had endured. Logan was first diagnosed by MRI at age 3, and thereafter Matt, his wife Josephine and daughter Kira were devastated, both at the news, and the realization that their family, family plans and future expectations had all been cruelly swept away. They then had to embark on a new life course, one in which simple survival was the goal. For his part, Logan remained brave throughout his trials, and was a happy kid who laughed a lot. Though almost constantly in the hospital, he ironically enjoyed his overnight stays there. For the family though, finances were a struggle, as despite medical insurance, the impact of the illness severely stretched the family's budget. Support from family, friends, fellow church congregants and private fundraisers all helped. Meanwhile, during the Schoenhardt's medically-related travels they frequently met other families without the same support systems they had, and were troubled by those family's challenges. Founding Logan's Foundation for Childhood Cancer is the Schoenhardt family's effort to respond to that need, and to help others in similarly awful circumstances. They provide monthly help to affected families including food & gasoline cards, heating fuel cards and electricity bill support. The goal is to walk alongside these families and if necessary, identify other ways to help. Logan's Foundation for Childhood Cancer is now one year old and fulfilling its mission. 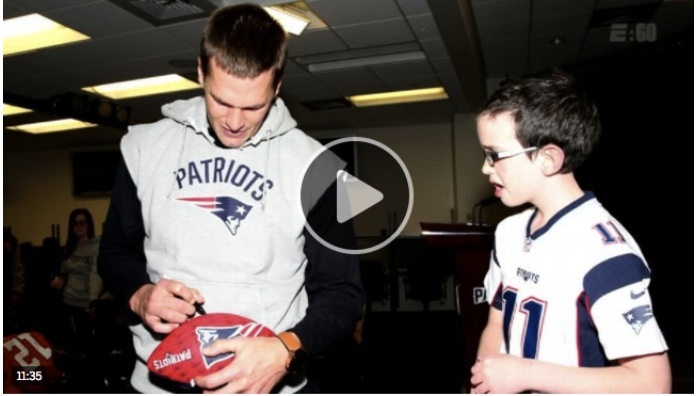 At that meeting, Logan brought a football for Tom Brady to sign, to later be a gift for a close friend of his. Logan knew he was dying, and he still thought to make another person happy. Logan died on 2/13/17. Matt theorizes he had waited one day more, as Logan didn't want to die on the 12th, the number corresponding to Tom Brady's jersey. Gary Roman concluded by presenting a $2000.00 check to Matt for Logan's Foundation for Childhood Cancer. 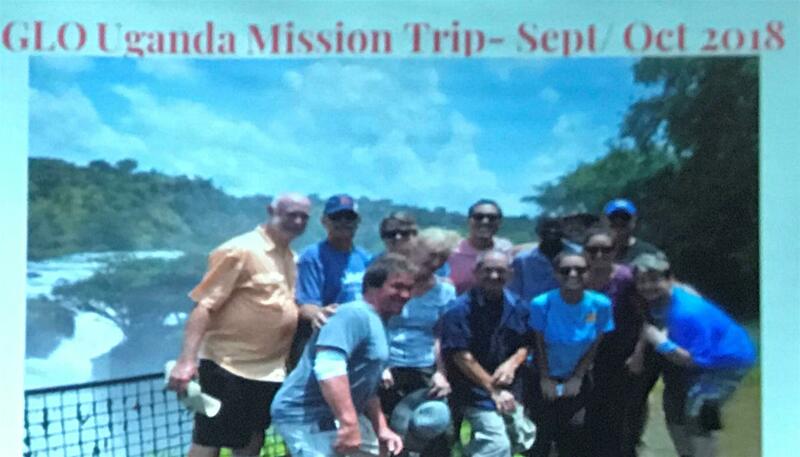 Rotarians Kurt and Jolly Lux provided a detailed slide presentation and report on the mission trip to Uganda they led last Fall on behalf of the Guiding Light Orphans organization. The purposes of the trip were five-fold, and included: 1. providing for a one-day medical "camp", 2. a one-day epilepsy outreach clinic, 3. a five-day general health clinic, 4. a women and girls empowerment project and 5. a land planning and development project concerning the 3.5 acres of land recently purchased by Guiding Light Orphans. On the first day, the travelers were tired and required rest from their travels. The group visited Jolly's mother's house for a day of eating, drinking and dancing and drinking, and a good time was had by all. The next day, and getting down to business, the one day medical camp was held and provided care for 320 patients. 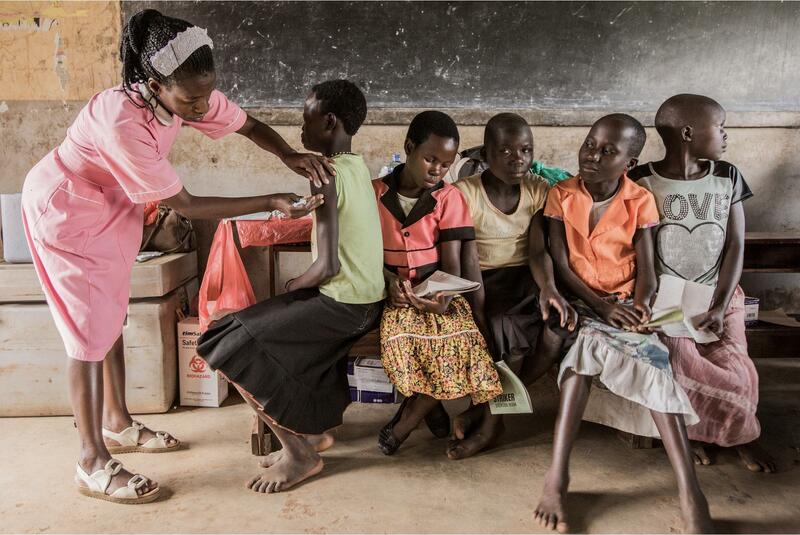 This included a wide variety of services including preventative care talks, mental health screening and assistance, HIV counseling, cancer screening, prenatal services, ophthalmic (eye) care, dentistry, laboratory services including malaria screening and various forms of chronic disease care. As the days passed, the four other trip focuses each were completed in turn. Unexpectedly, the participating physicians were able to perform minor surgeries, despite some passing concern about appropriate governmental licensing. The group also participated in helping with construction of new public toilets. 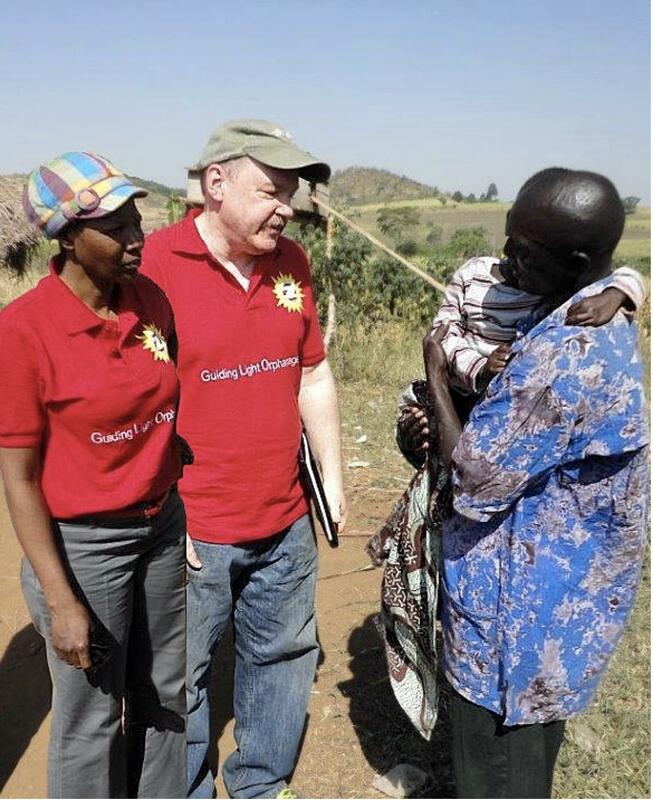 Upon her return to the USA, seventeen-year-old participant Judy, expressed her hope to join the Guiding Light Orphans organization's board of directors as its youngest member. The slide show included several images of our own Phil Ferrari in action. The planning and development discussions concerning the recently purchased land, clarified that the land is a focus for future GLO projects. They hope to support women, as productive heads of households through future projects on that land, which will also include a health clinic. Career related skills training will be provided such as creating saleable products including backpacks, clothing and soap, will enable future participants to learn skills with which they can earn a living. Jolly concluded by crediting their local Ugandan Rotoractors for their energy and hard work during the recent trip. 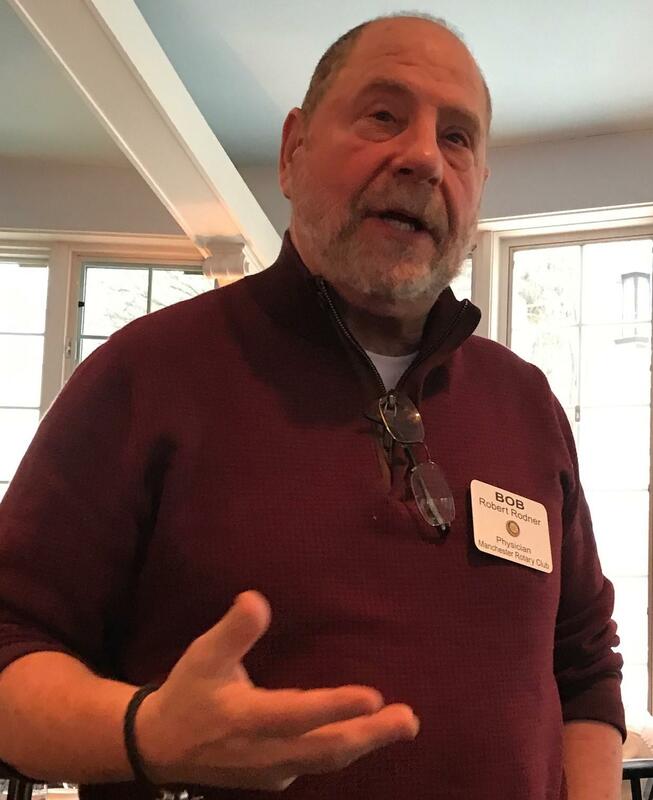 Preparing to answer Rotarian questions, Jolly was asked by Bob Cave: "The work you've done is Impressive. But do we have to call Phil Ferrari, "Dr Phil" now?" This elicited a few chuckles and several more, partially covert, eye rolls from Rotarians. The Four-Way Test soon followed.